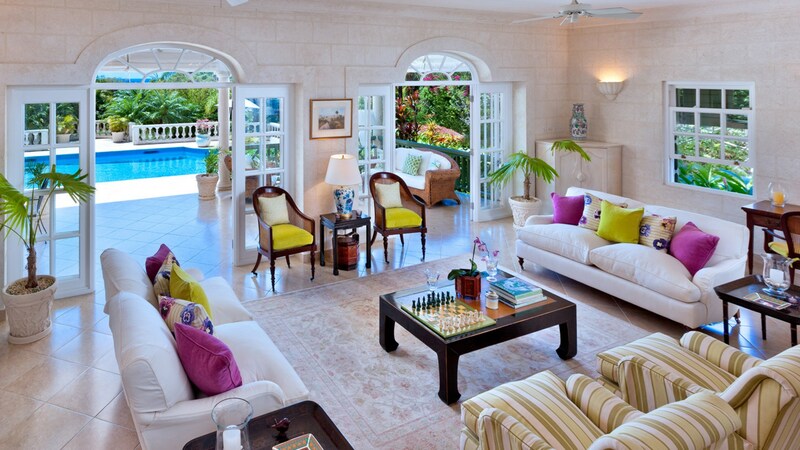 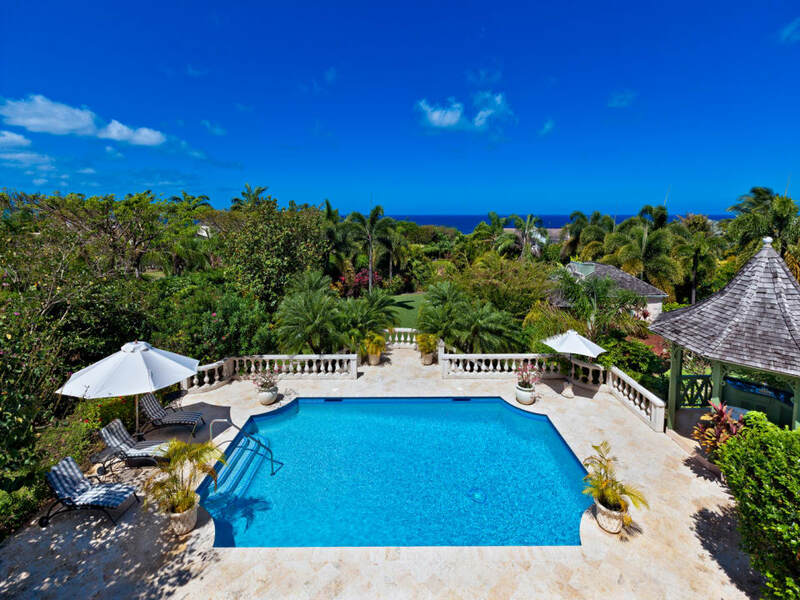 A five bedroom home with great sea views, a large swimming pool and well landscaped gardens. 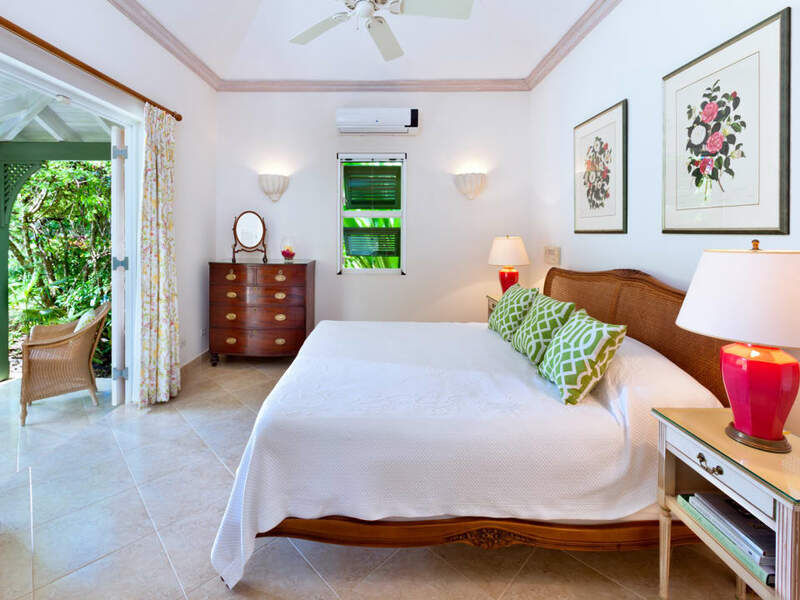 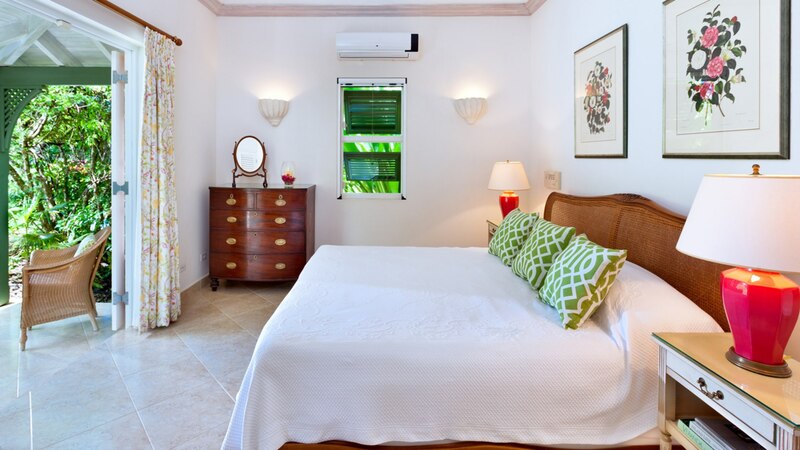 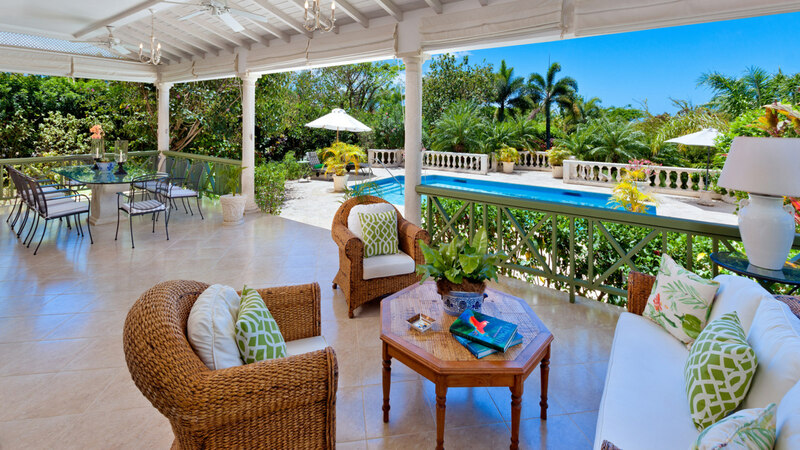 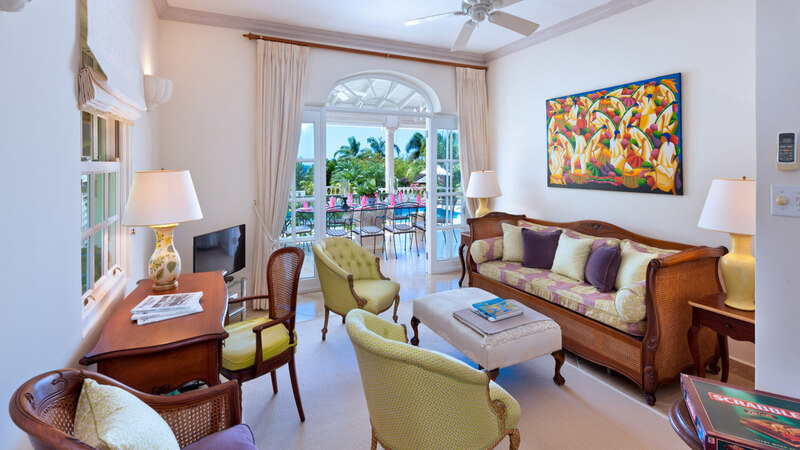 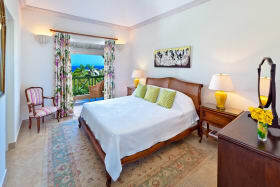 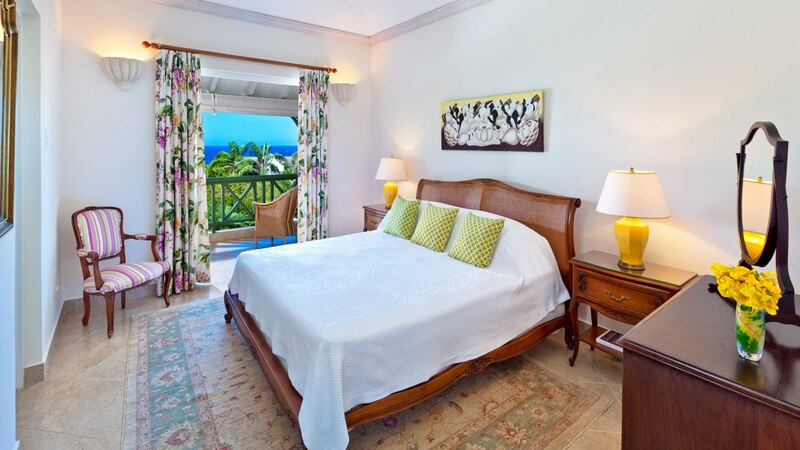 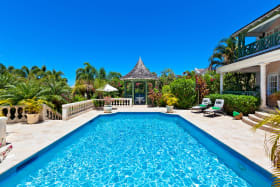 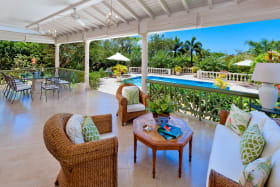 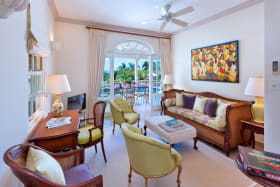 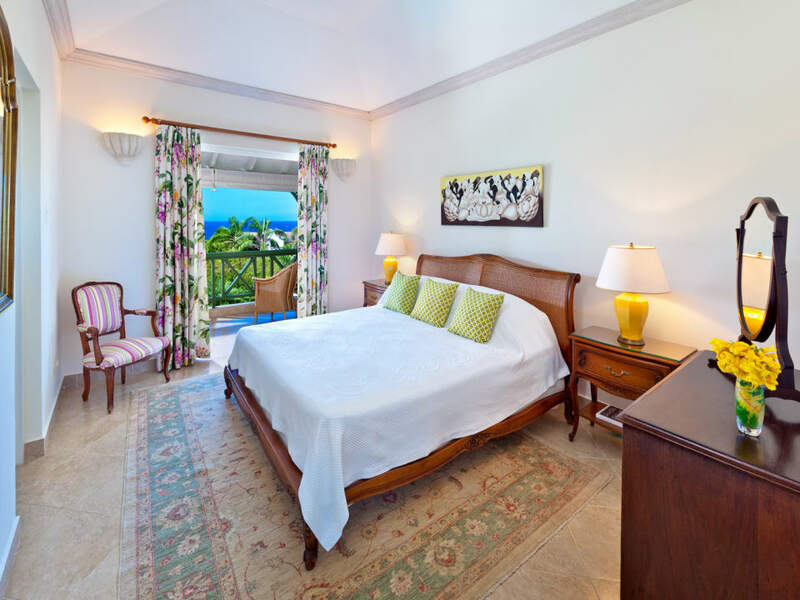 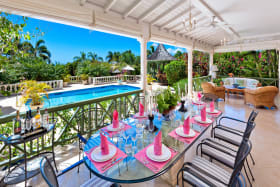 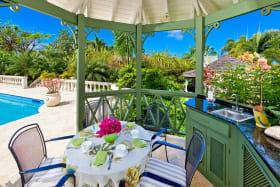 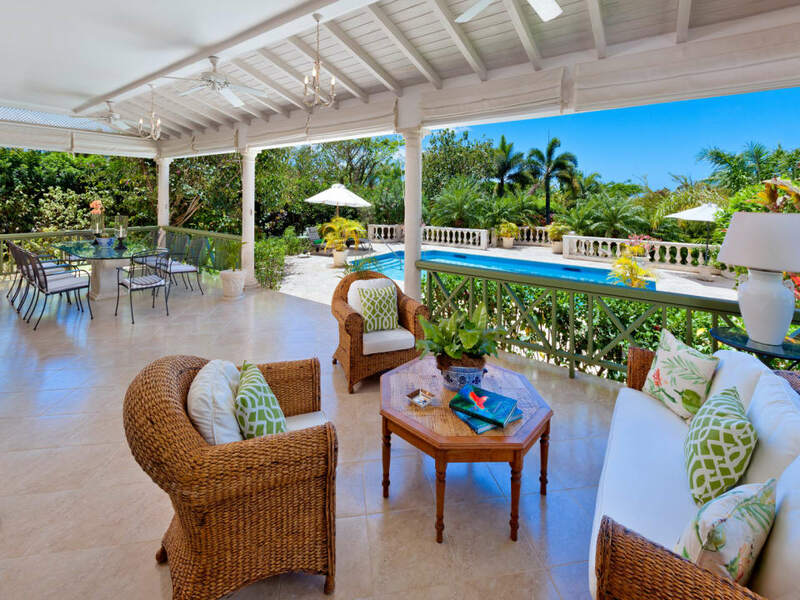 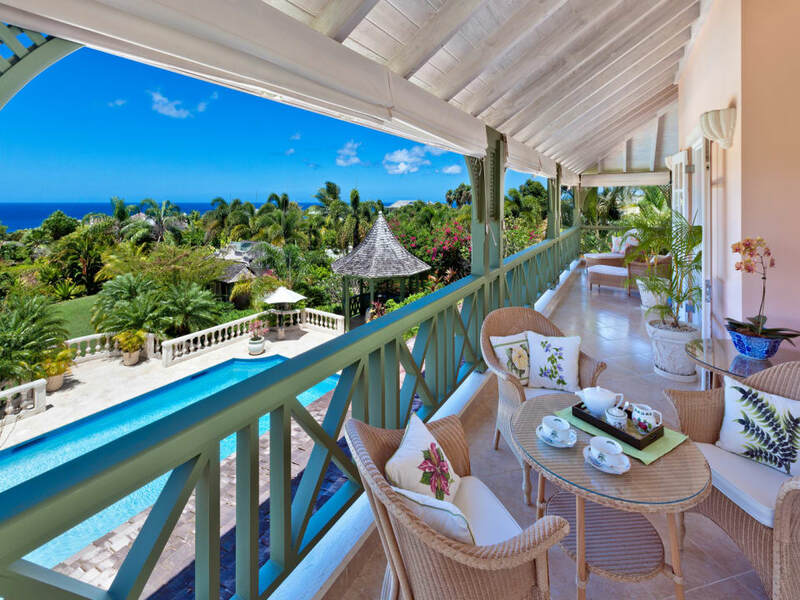 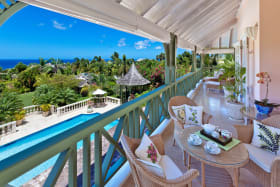 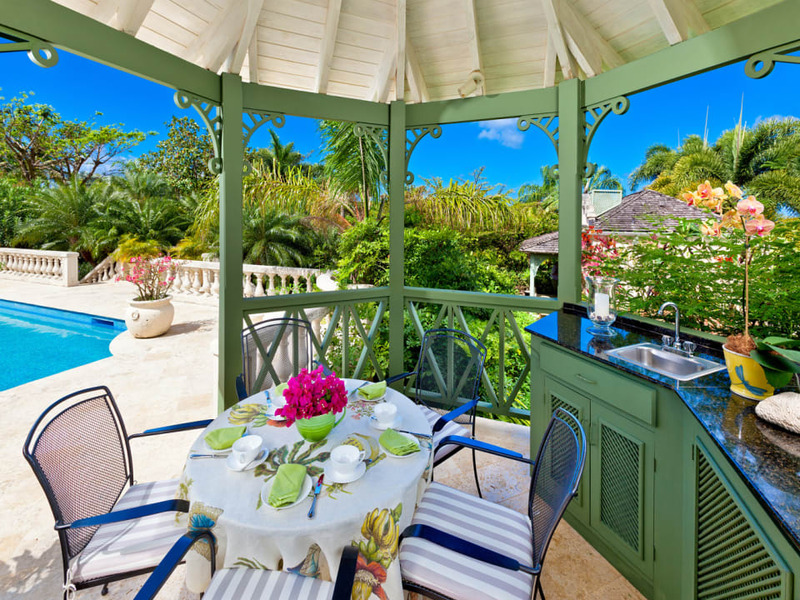 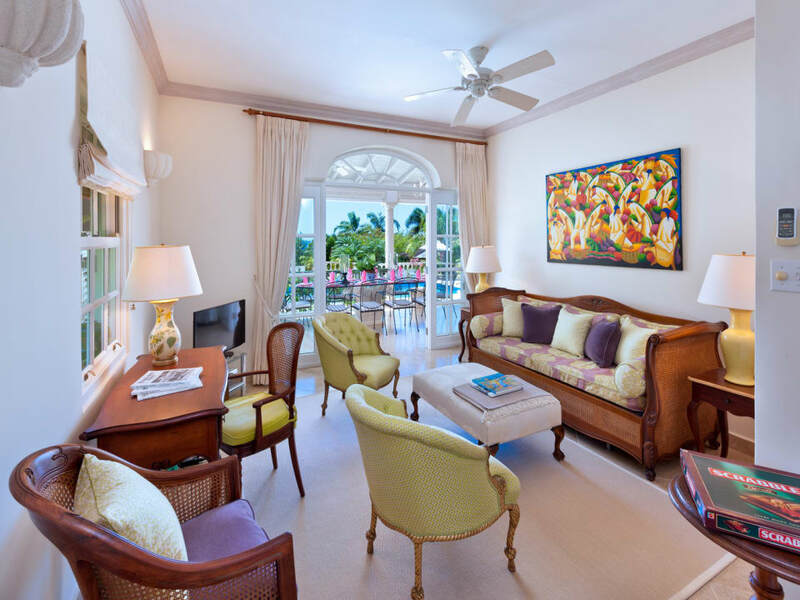 Set amidst lush private gardens and exotic fruit trees, Firefly enjoys stunning views over the landscaped hillside of Sugar Hill and the Caribbean Sea beyond. 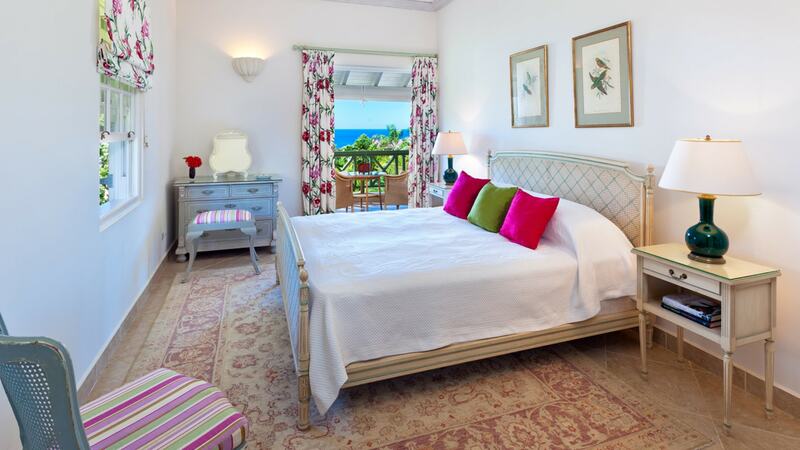 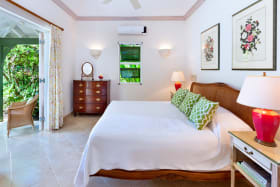 It is laid out to sleep up to 10 guests in 5 double en suite bedrooms. 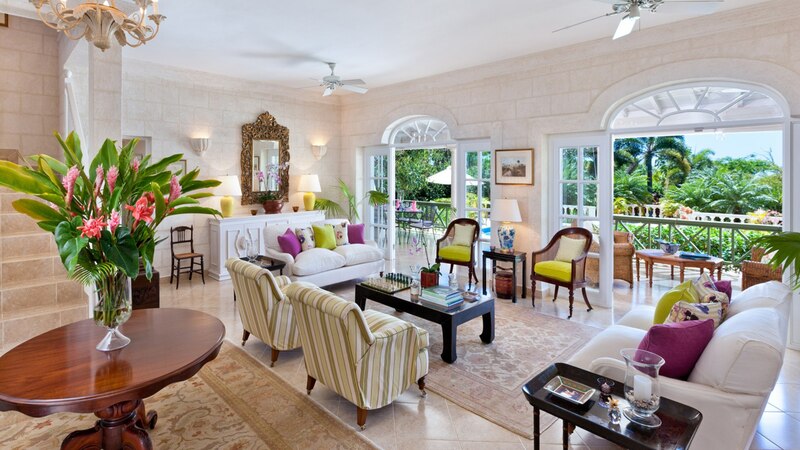 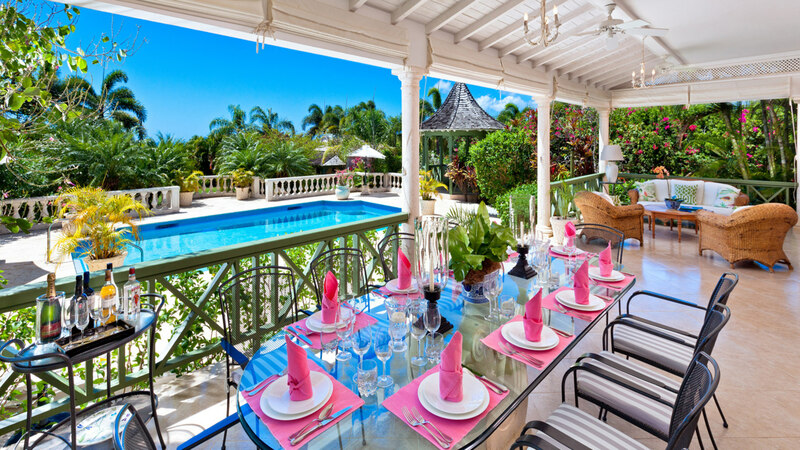 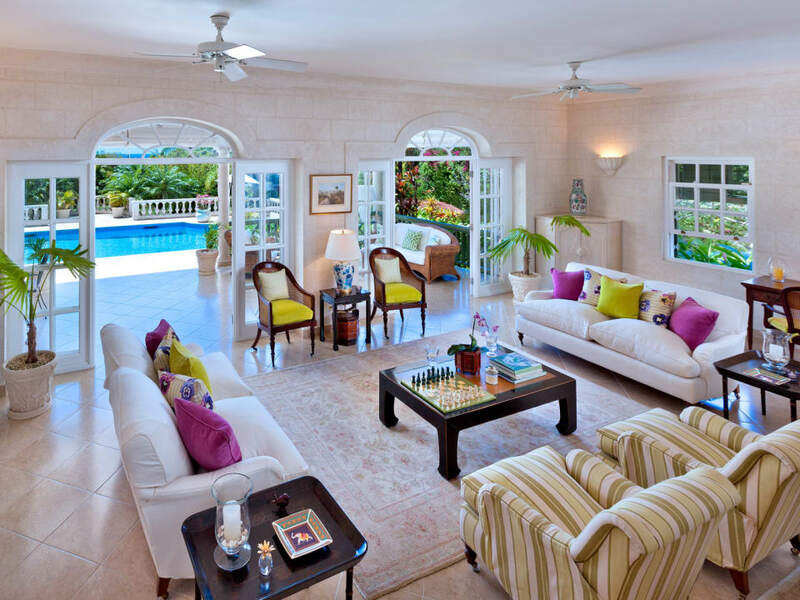 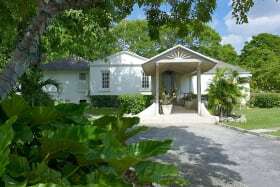 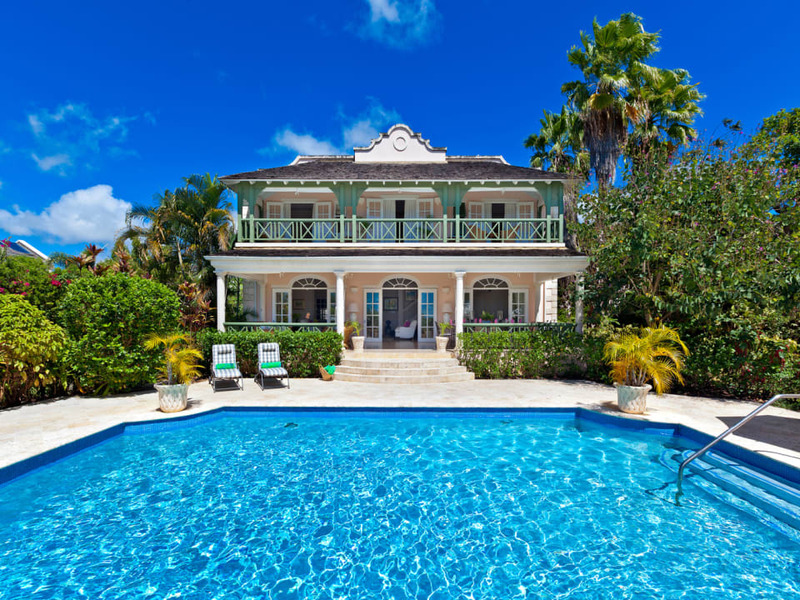 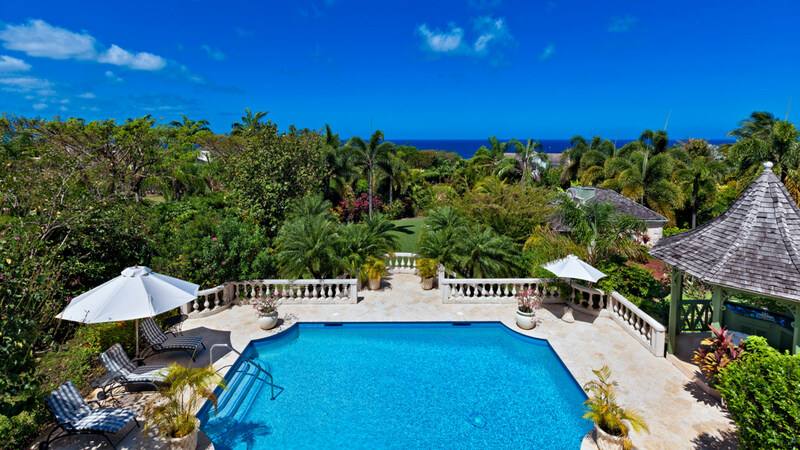 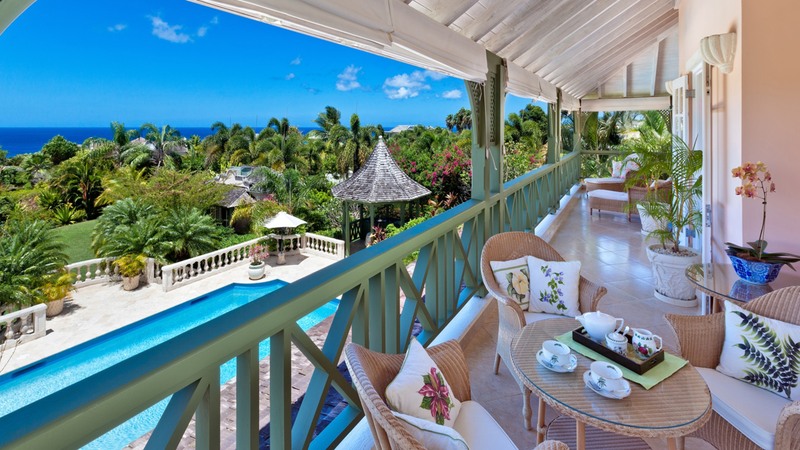 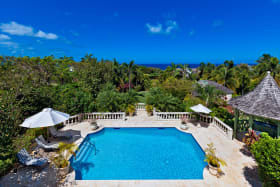 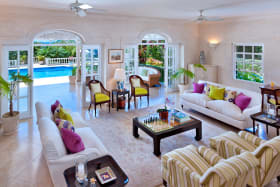 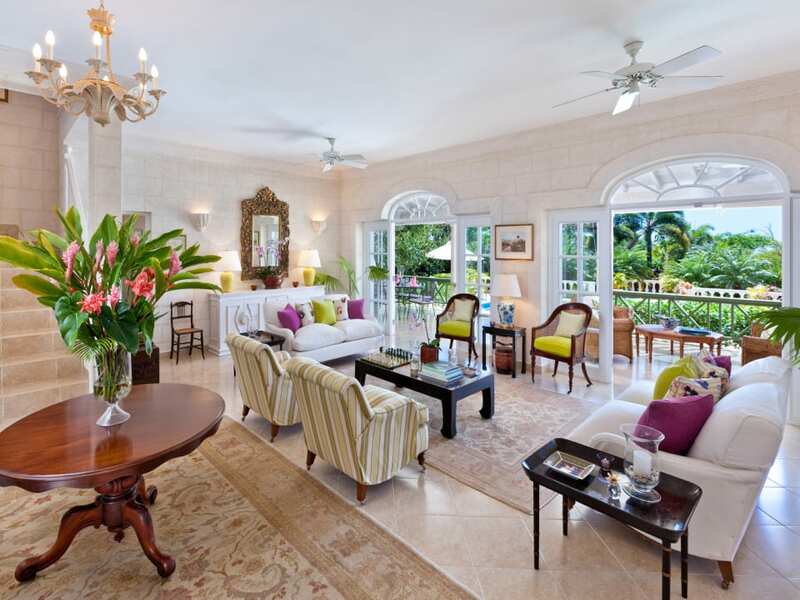 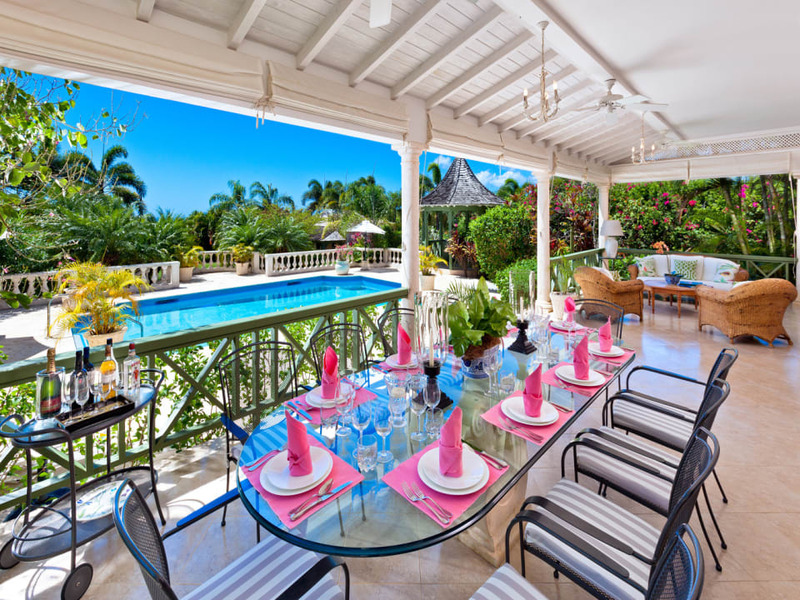 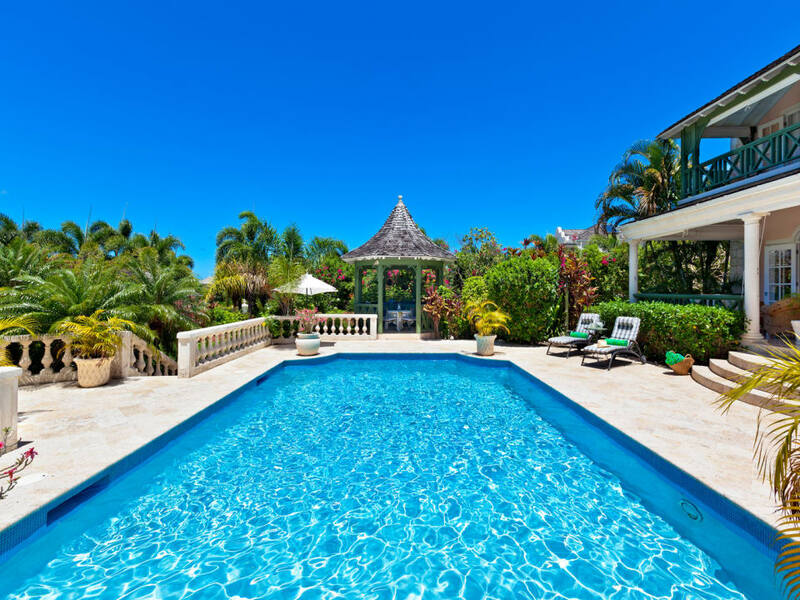 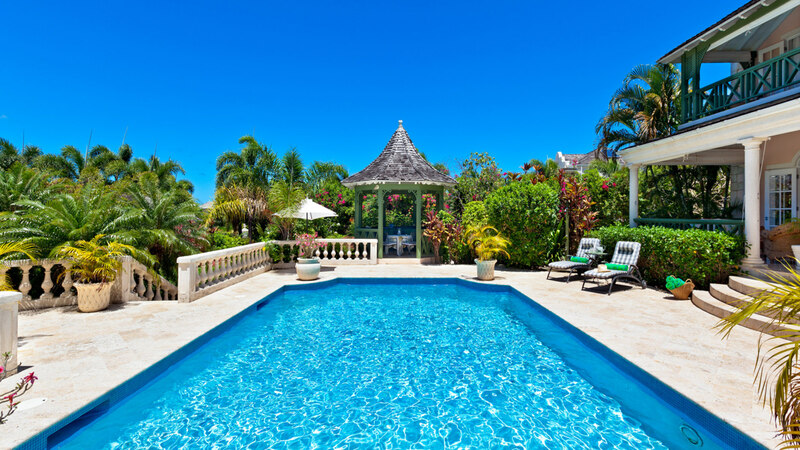 The home offers a large central reception room leading out to an expansive covered terrace, overlooking the full size swimming pool and the west coast. 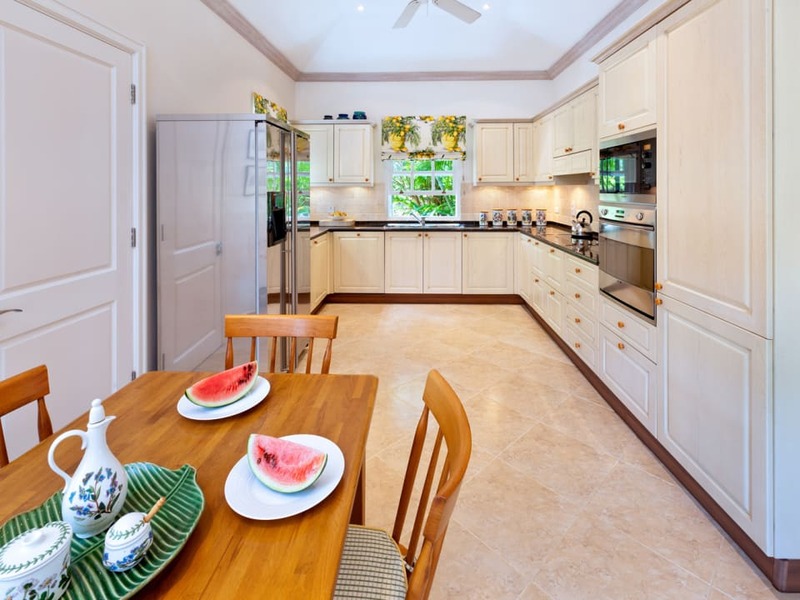 There is an air-conditioned designer kitchen with Italian granite topped units and also a separate laundry, staff room and service entrance. 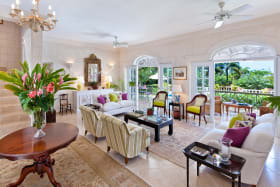 Originally designed as the 4th bedroom and complete with en suite bathroom and walk in closet, the air-conditioned media room leads off to the right of the reception room and opens out onto the main covered terrace. 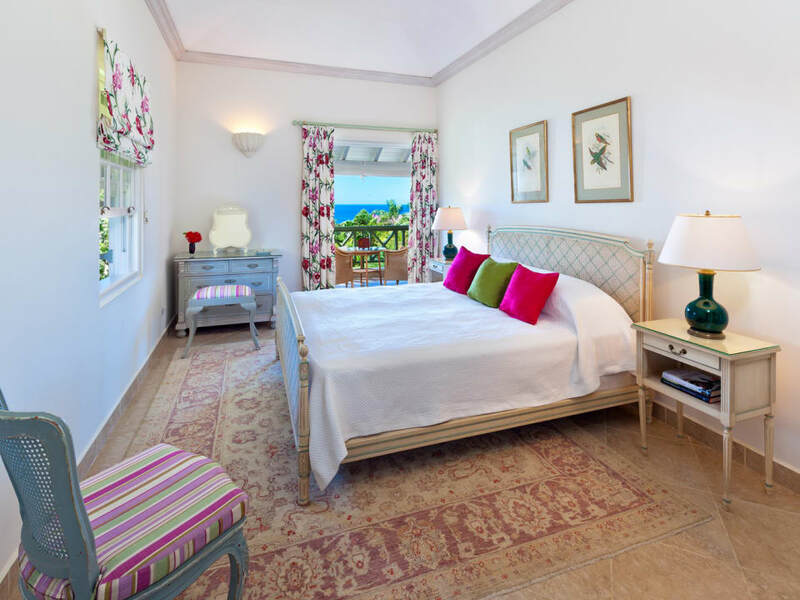 The main house benefits from three bedrooms on the first floor, each opening through French doors to a spacious balcony providing spectacular views. 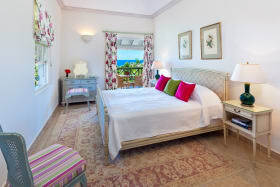 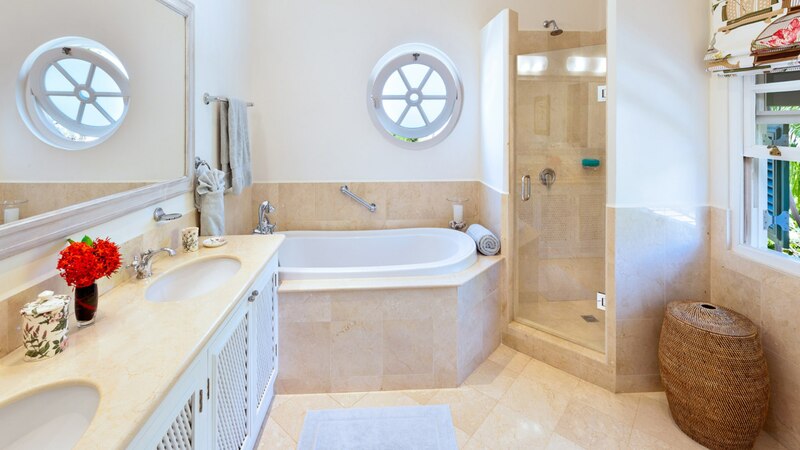 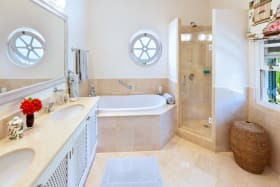 All bedrooms have en suite marble bathrooms and the master suite features a separate dressing room. 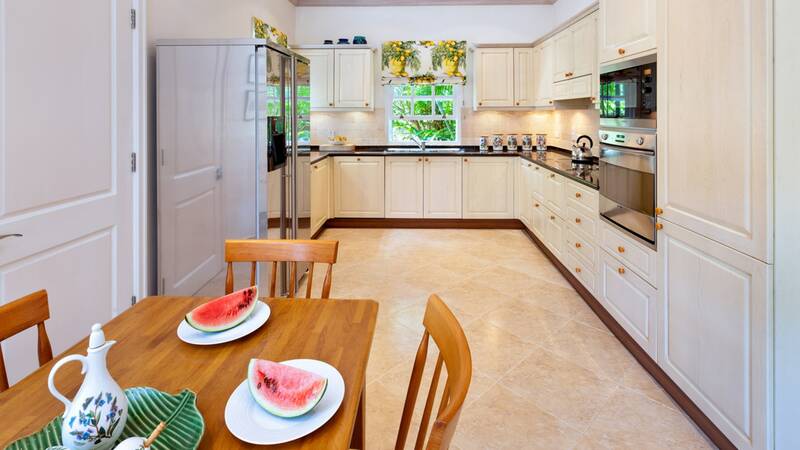 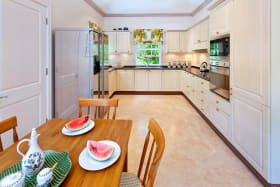 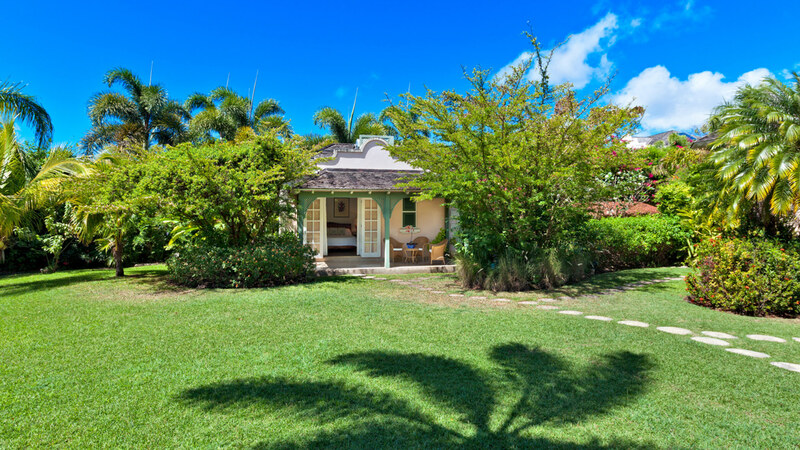 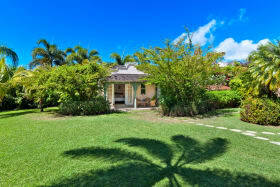 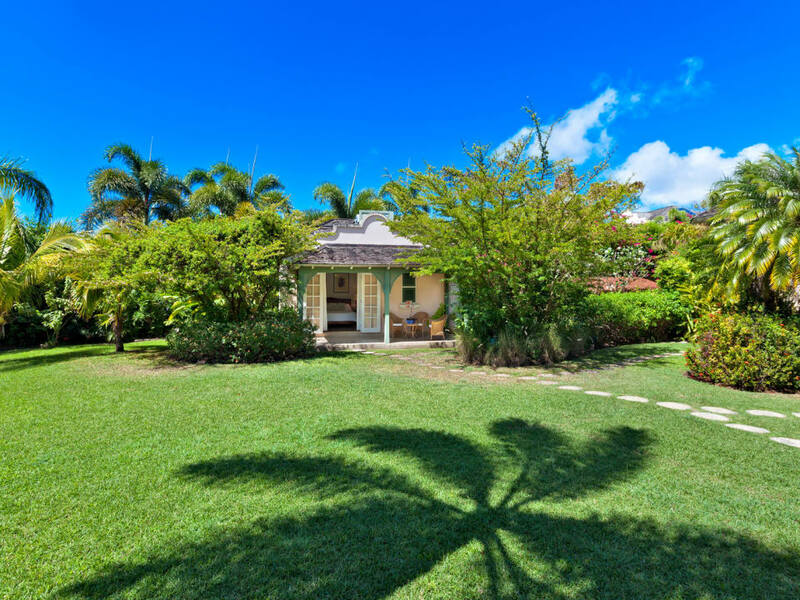 A separate one-bedroom guest cottage with an en suite bathroom, kitchenette and private terrace is located in the garden. 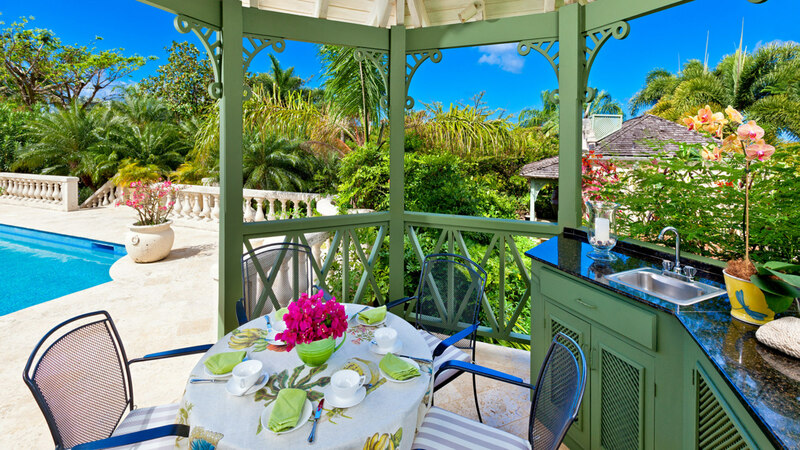 The west-facing private swimming pool and sun terrace feature a pool side dining pagoda and fitted granite-topped units.